How much is table service on Thursdays at Hyde Sunset? Main Room $1500, 10 comps. Larger table in main room $2000, 12 comps. Larger table on dance floor with prime location $2500, 15 comps. Unwind in luxurious leather booths while you take in the best of nightlife in LA on a Thursday with an A-list crowd of celebs, athletes & socialites. 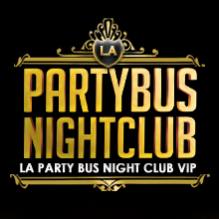 Book VIP tables, customize bottle service, party with Hollywood celebs. Ready to show that ex what they are missing? Put on your hottest outfit, get the Snapchat ready and head over to Hyde Sunset on a Thursday. This iconic Sunset Strip celeb hot spot regularly brings in famous faces and a gorgeous crowd to boot. Every Thursday, Hyde rolls out their red carpet for big name Hip Hop stars like French Montana, Ty Dolla Sign, Wiz Khalifa and 2 Chainz. Tables with bottle service reservations are a must. So be sure to sort that out in advance to avoid confusion and embarrassment at the door. With table-side mixology and decadent bottle service, highlighted by customizable packages, this hot spot is a favorite among celebrities and nightlife connoisseurs alike. One thing’s for sure; your Thursday night at Hyde Sunset will be a great one!! For table service reservations, guests can call (310) 749-9029 as well as fill out the form below to contact us. You are one step away from having the ultimate experience at Hyde in LA on a Thursday. Reserve your table today and enjoy an assigned VIP host and skip the lines straight into Hyde. Bottle service will get you the best seats in the house. Drop us a line and we’ll provide you with all the information you need. Plus, our services will come at no cost to you.